Keywords: hemophagocytosis, pharyngeal abscess, Acinetobacter baumanii, pancytopenia, ventilator-associated pneumonia, sepsis. Background. Hemophagocytosis is a rare, potentially fatal disorder, comprising pancytopenia, liver dysfunction, hepatosplenomegaly, hypertriglyceridemia, and hyperferritinemia presenting as fever, lympha­denopathy and skin rashes. Objective. To attract the clinicians’ attention to a problem of hemophagocytosis in Critical Care management. Methods. Hemophagocytosis secondary to pharyngeal abscess in a 58 year old male is being reported. Results. A 58-year-old immunocompetent patient presenting with hemophagocytosis secondary to pharyngeal abscess, was managed on ventilator and inotropic support, when he developed heathcare-associated urinary tract infection by Escherichia coli and ventilator-associated pneumonia by Acinetobacter baumanii. He developed neutropenic septic shock and multi-organ dysfunction and went through a downhill course leading to demise. Conclusions. Hemophagocytosis remains a sinister entity in modern intensive care despite astute clinical management. Secondary superinfections with opportunistic multidrug resistant pathogens are difficult to treat. A high index of clinical suspicion, aggressive diagnosis and prompt treatment for hemophagocytosis and polymicrobial opportunistic superinfections with multidrug-resistant healthcare-associated pathogens needs to be addressed upfront. Takahashi N, Chubachi A, Kume M, et al. A clinical analysis of 52 adult patients with hemophagocytic syndrome: the prognostic significance of the underlying diseases. Int J Hematol. 2001;74:209–13. Brastianos PK, Swanson JW, Torbenson M, Sperati J, Karakousis PC. Tuberculosis-associated haemophagocytic syndrome. Lancet Infect Dis. 2006 Jul;6(7):447-54. Kumar N, Gadpayle AK, Singh R, Tonk RS, Dembla G. Epstein-Barr virus-induced haemo­phagocytic syndrome. Natl Med J India. 2012 Sep-Oct;25(5):271-3. Khan ID, Sahni AK, Bharadwaj R, Lall M, Jindal AK, Sashindran VK. Emerging organisms in a tertiary healthcare set up. Med J Armed Forces India 2014; 70(2):120–128. Johnson TM, Brown MS, Rabbat M, Slim J. Hemophagocytic Lymphohistiocytosis associated with anaplasmosis. Journal of Global Infectious Diseases. 2017;9(2):76–78. Gaglani MJ, Edwards MS. Clinical indicators of childhood retropharyngeal abscess. Am J Emerg Med. 1995 May;13(3):333–336. Hashmi HRT, Mishra R, Niazi M, Venkatram S, Diaz-Fuentes G. An unusual triad of hemophagocytic syndrome, lymphoma and tuberculosis in a non-HIV patient. The American Journal of Case Reports. 2017;18:739–745. Rekik R, Morazin F, Lumbroso A, Stirnemann J, Montravers P, Gauzit R. Reactive haemophagocytic syndrome and multiple organ failure in intensive care unit patients. Ann Fr Anesth Reanim. 2004 Dec;23(12):1189–1191. Khan ID, Sahni AK. Bacterial infections and emerging resistance in renal transplant recipients. Bang J Med Sci. 2015;14(1):14–21. Khan ID, Basu A, Kiran S, Trivedi S, Pandit P, Chattoraj A. Device-associated healthcare associated infections (DA-HAI) and the caveat of multiresistance in a multidisciplinary Intensive Care Unit. Med J Armed Forces India 2017;73(3):222–231. Khan ID, Gupta RM, Sen S, Rajmohan KS, Jindal AK, Makkar A, et al. Emerging antimicrobial resistance and evolving healthcare: dangerous crossroads for the community and the military. 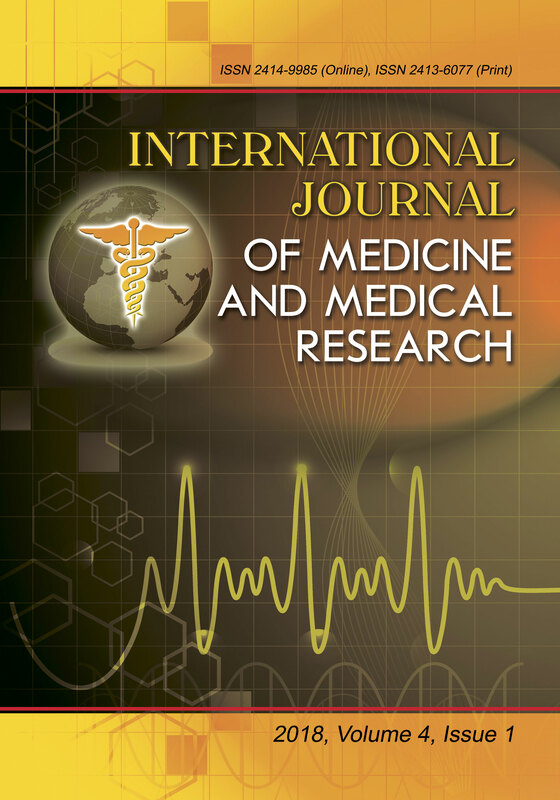 Journal of Archives in Military Medicine. In Press: e12097. Khan ID, Dogra PM, Ramphal SK, Khan S, Konar J, Palit A, Srivastava N, Agrawal P, Haleem S, Alam S. Polymicrobial infections in a teenaged renal trans­plantrecipient. J Basic & Clin Med 2015,4(1): 37–39. Silva-Herzog E, Detweiler CS. Intracellular microbes and haemophagocytosis. Cellular microbiology. 2008;10(11):2151–2158. Mohamad I, Jaafar R. An elderly man with acute anterior neck pain and odynophagia after a meal. Malaysian Family Physician: the Official Journal of the Academy of Family Physicians of Malaysia. 2013;8(3):37–39. Poorey VK, Karkare A. Retropharyngeal abscess following accidental throttling. Indian Journal of Otolaryngology and Head & Neck Surgery. 1998;50(3):275-276. Khan ID, Gupta N, Rangan NM, Singh R, Sharma AK, Khurana A, Rudra P, Krushnarao MS. Evaluation of pre and post analytical variables in clinical microbiology services in multidisciplinary ICU of a Medical College and Tertiary Care Hospital. J Basic & Clin Med 2016,5(1):2–4. Khan ID, Lall M, Sen S, Ninawe SM, Chandola P. Multiresistant Elizabethkingia meningoseptica infections in tertiary care. MJAFI 2014;71(3):66–67. Khan ID, Mukherjee T, Gupta S, Haleem S, Sahni AK, Banerjee S, Konar J. Ochrobactrum anthropi sepsis in intensive tertiary care. J Basic & Clin Med 2014,3(1):18–20. Khan ID, Sahni AK, Bharadwaj R, Anwar I, Jain V, Khan S, Chowdhury A, Dwivedi AK, Gupta AK, Shamsuzzaman, Alam S, Konar J. Cerebral toxoplasmosis diagnosed by stereotactic brain biopsy leading to detection of HIV infection. J Basic & Clin Med 2016,5(1):5–7. Khan ID. Outbreak of Prototheca wickerhamii algaemia and sepsis in a tertiary care chemotherapy oncology unit. International Journal of Infectious Diseases. 2016 Apr 30;45:195. Khan ID, Rajmohan KS, Gupta RM, Sen S, Hashmi A, Ninawe SM, Mukherjee B, Kishore K, Mishra M, Yadav A, Choubey A, Shaikh S. Invasive cerebral and pulmonary mucormycosis in an immunocompromised patient. J Basic & Clin Med 2017,6(2):9–11.